“Sustainability and environmental impact have become important issues in today’s world, affecting our activities and influencing our decisions both domestically and commercially. With this greater awareness comes the need for companies to respond positively and act responsibly; reducing the impact they make on the environment, accurately promoting their ‘green credentials’ and honestly answering questions asked about their products and services. 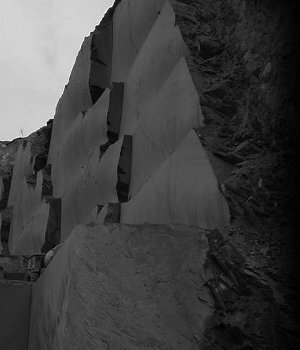 SSQ is a producer and supplier of slate, a natural material that’s ultimately only available in a finite supply and one which we mine and ship from quarries around the world. We also operate within the construction industry which, according to data from the National Office of Statistics, accounts for half (by weight) of all materials used in Britain and nearly one-third of its road freight. Not surprisingly, we feel our responsibility acutely. Download the SSQ Sustainability and Environmental Impact report.